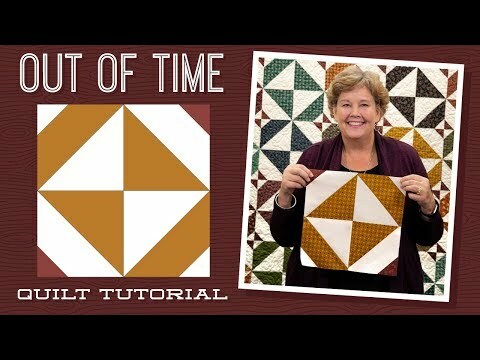 Out of Time Quilt Pattern by Missouri Star - Missouri Star Quilt Co. - Missouri Star Quilt Co. If time is of the essence, this quilt is the perfect project for you! A variation on the classic hourglass block, it adds a cute snowballed corner for extra appeal. Stitch it up with 1 package of your favorite print 10" squares and a stack of matching solids and you'll have plenty of time to spare.